Casey James is back with Strip It Down, an appropriately titled album given the raw and rooted songs it contains. Strip It Down is a danceable album that is truly blues at its core. This album is the perfect soundtrack for any party or car ride, alone or with a group. Produced by grammy award winner Tom Hambridge and features a duet with Delbert McClinton 'Bulletproof,' has James returning to his blues roots. Fill out the form and we'll send you THE LATEST on VIP Events, Free Downloads and THE LATEST on Casey James. We are so excited for you to be apart of of team Casey! But in Strip It Down, James comes into his own by following a simple plan: being himself. Instead of following the expectations of TV producers or the game plan of a well-oiled record company, James collected 13 songs he’d written or co-written (plus a soulful take on Little Willie’s John’s “Need Your Love So Bad”), holed up in a Nashville studio with a trim, crackerjack band and hammered out the bulk of the album in a scant four days. It’s titled Strip It Down because it’s exactly what Casey James did – shed off the layers of stylized artistic clothing that he’d been given in those other public ventures to find the real artist underneath, a guy with a convincing, smoky vocal quality and a burning, lyrical skill with a guitar. James delivers it all with a commanding presence, a rebuilt confidence that comes from doing what he does naturally, and doing it well. Growing up in Cool, Texas, a dusty town 45 miles west of Fort Worth, his destiny was laid out for James at the age of 13, when he got his first guitar. It became a constant companion, a channel for his emotions, as the six strings lay easy in his hands. It was that natural. James formed a band and hit the Texas club circuit, a collection of venues just big enough that it can keep a musician going for years. The band was in such high demand that one year, he played a staggering 364 days. Clearly, he was talented – and more than ready to work. He mixed a few originals in with cover songs, played a mean guitar and sang with conviction. But he was persuaded by a family member that a run on American Idol might put him on better financial ground. It also became a bit confusing. The contract required him to stop playing clubs from the time he auditioned until the season concluded roughly nine months later. The schedule frequently involved 20-hour work days secluded from the world he knew, and he bent a lot of directions stylistically to fit into the show’s format. The work paid off – he placed third that season and landed the record deal. It was a country contract, not entirely in alignment with his influences, but it overlapped enough that he took the deal. The next four years were a whirlwind as James threw himself into promotion, meeting radio programmers, writing with some of Nashville’s best composers and opening for the likes of Taylor Swift, Alan Jackson and Sugarland. He experienced surreal stardom, but that came with music that merely hinted at the real Casey James. When he got off the ride, he found himself in a different place than he’d started. If it was going to be possible to resurrect that person, he knew only one way to do it. So he wrote. He launched into that phase with no real plan, just a passion for self-expression. James got an appointment with him, and was astounded to discover that “Tom” was Tom Hambridge, a drummer, songwriter and producer whose work he’d long admired. Hambridge had a hand in albums by Buddy Guy, Foghat, Keb’ Mo’ and Susan Tedeschi, and his grounding in the blues and roots music was spot on for where James was headed. In their first co-writing session, James and Hambridge penned a bristling acknowledgement of sufficiency, “All I Need.” Two weeks later, they reconvened and authored “Killin’ Myself,” a snarling rocker that loosely encapsulates the roughest emotions from James’ experience with the music business. The two were so in sync that before that second writing appointment was over, Hambridge was already plotting out how best to produce James’ album. And he did. Hambridge enlisted guitarists Pat Buchanan and Rob McNelley to back James up on guitar, bass player Tommy McDonald and keyboard player Kevin McKendree, and they captured Strip It Down mostly live in the studio, James singing and playing with the band and nailing most of the songs in three takes or less. James funded it all through a one-month Kickstarter campaign, asking his fans to invest in the next step on his musical journey. They came through in a big way, delivering more than double his original goal. It served as a reminder that even when his path had taken him down difficult roads, he’d made a strong connection with an audience that understood his creative ambitions. Strip It Down sounds distinctly different from the work he did in his previous recording deal. And it’s much more forceful than the artist America first saw on Idol. As foggy as those periods in his life became, they were important steps in Casey James defining himself – recognizing the music that brought him joy and accepting the talents that make him able to deliver it. Strip It Down threatens to change America’s perception of him, too. The blues is all about struggle, and James endured a major one as he lost a piece of himself in the spotlight. The album helped him renew his original intentions – in essence, to find himself again. And he delivers it with a passion and experience that are required to play the blues with authority. Thus when James sings “Every sunrise on another day is another chance to smile,” it’s not a hokey happy ending. It’s a gritty truth he’s learned the hard way. It’s a message that’s even more powerful as it connects him with the listener. It’s why Strip It Down is such an apt title. All the outer layers had to come off for James to rediscover what he has to offer. To rekindle his reason for being. And to use it as a means of connecting. Released June 2017 as an Independent artist. Mastered and produced in Nashville, TN. Casey James Celebrates ‘Big Day’ at Nashville’s City Winery. 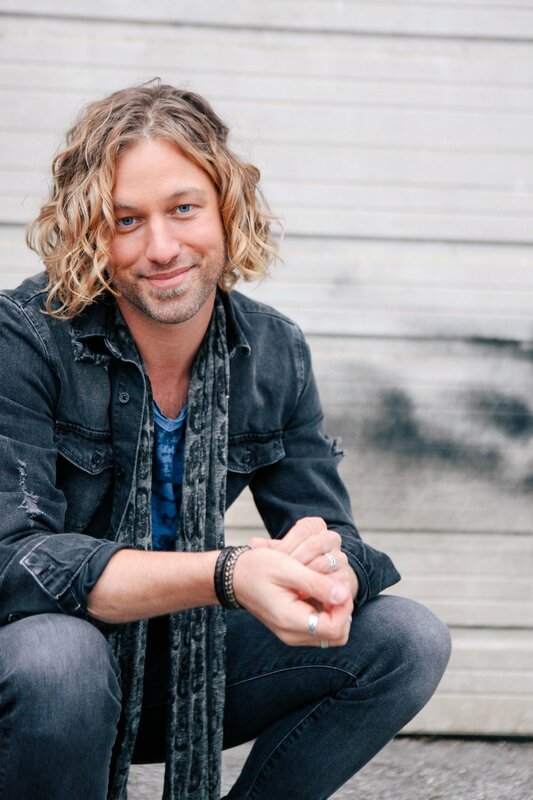 Singer/songwriter and multi-format innovator Casey James is set to release Strip It Down, a rich collection of blues and smoky soul that is a deeply personal reflection of the former “American Idol” finalist and Texas-born roots rocker, on June 9. READ MORE HERE. Casey James came into our hearts, and onto our playlists, when he placed third on American Idol. Since then, the Texas native has come a long way musically. READ MORE HERE.